Additionally, the products are made in a dedicated gluten-free facility and are certified Kosher. What all of this means is that these products are prepared to delight eaters of all ages and dietary restrictions. Each 1 oz. snack pack is 100 calories, which is helpful when portioning for a snack or even a larger meal. Each pod is individually labeled, which is helpful for having the allergy information easily accessible. 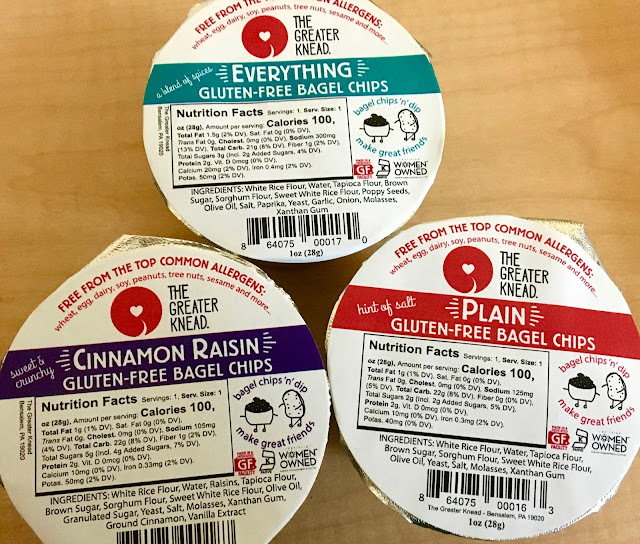 Presently, the bagel chips come in three varieties: plain, everything and cinnamon raisin. Let's start the plain chips, which are anything but plain Jane. You can definitely tell these are from sweet note bagels because the chips themselves taste identical to their bready counterparts, just crunchier. They have a generous dusting of salt which makes them fall more on the savory side, but they are versatile enough to pair with a variety of dips. I personally loved pairing it with Wegmans' cilantro jalapeño hummus which made for a delightful mid-afternoon snack. Next up for my taste test was the everything bagel chips, which have the signature poppy seeds, garlic, and and onion that differentiate everything bagels. They have a dusting of spices which pack a flavor punch and a satisfying amount of saltiness from the paprika salt. Because of their bold flavor, they are not as versatile when it comes to pairing with dips, but I found that plain hummus worked pretty darn well for me. They reminded me of the bagel chips found in traditional Chex Mix, but these have cleaner ingredients and are gluten-free! Breaking from the more savory flavors of the previous two flavors, the cinnamon raisin chips take a decidedly sweet turn. The bagels are sweet- but not overly so- and have sweet semi-dried raisins which are still a little chewy. 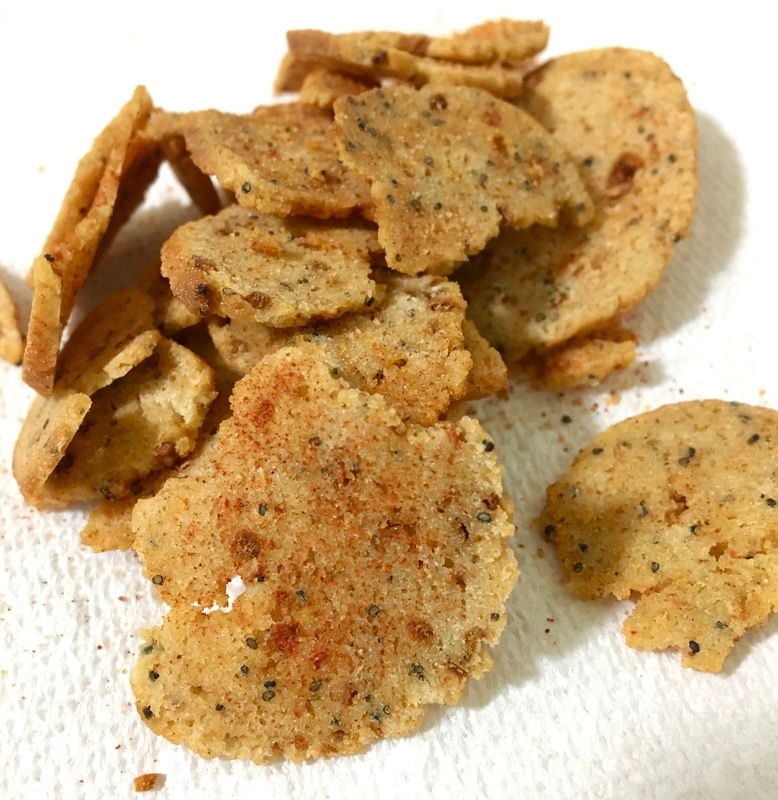 What makes these though is the dusting of cinnamon sugar on the chips which makes them totally addicting and difficult to stop after one snack pack. For being sweet, they only have 5 grams of sugar per snack pack, which is really good for a sweet tooth satisfier. My recommendation for pairing? Kite hill cram cheese in the morning and fresh-ground peanut butter in the afternoon. 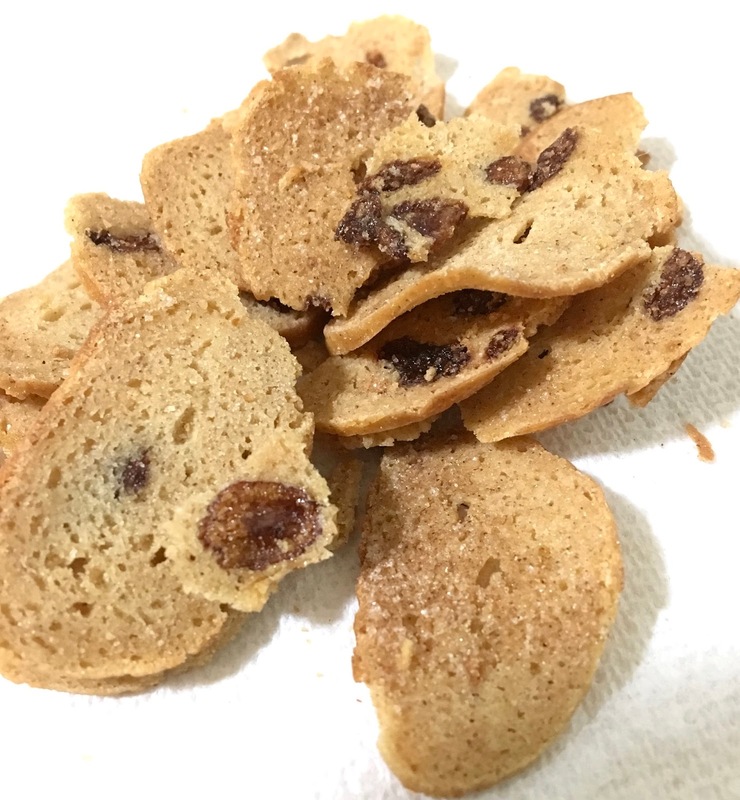 The ultimate seal of approval for the cinnamon raisin bagel chips? Here's a confession: I hate cinnamon raisin bagels. However, I loved these, and would order them again without second thought. That's the magic of bagel chips. I can say unequivocally that The Greater Knead's bagel chips are game changing, and an early competitor for my favorite new product of the year. I love their grab-n-go convenience and their oh-so-satisfying crunchiness. Whether you are craving sweet or savory there's a there's a bagel chip flavor for you. I hope in the future to see The Greater Knead expand the flavor options of the bagel chips beyond three (hello french toast bagel chip!) 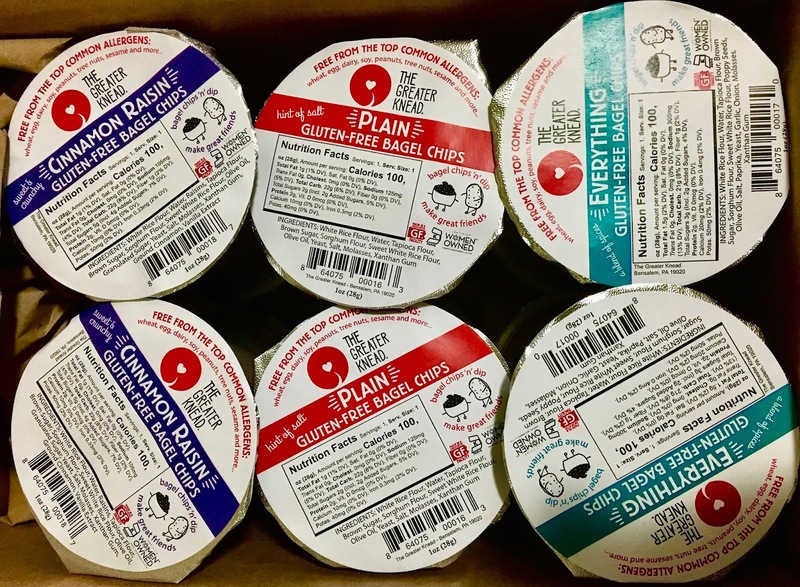 and offer a larger size package of them, but until then, I am perfectly pleased with these snack packs that can take on the world and play a part in any meal. 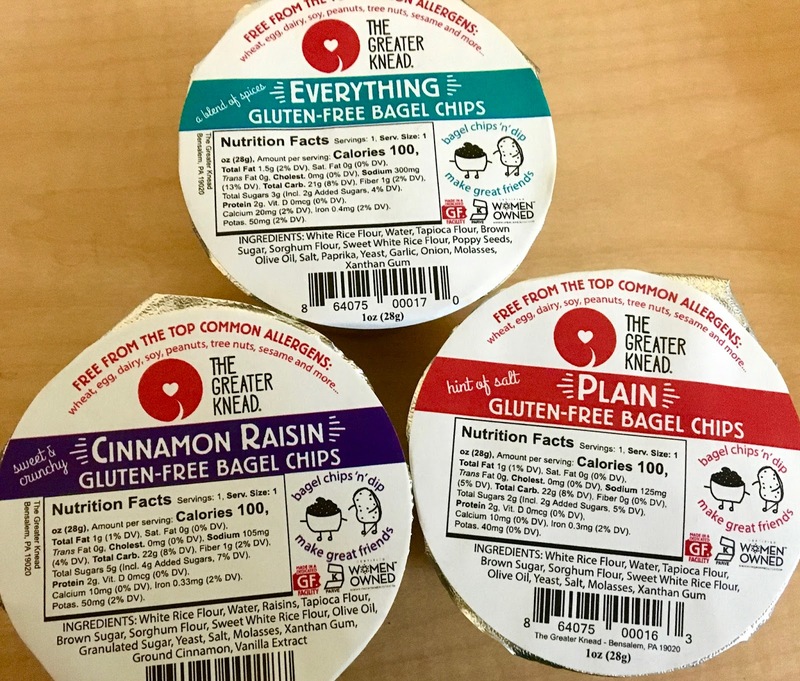 The bagel chips are available in three sizes: a 3-pack (one of each flavor), a 12-pack (four of each flavor), and 36-pack (twelve of each flavor). You can order them on The Greater Knead's website at this link. Can't wait to try the cinnamon raisin!! These look delish, count me in! The cinnamon raisin! So excited to see these! 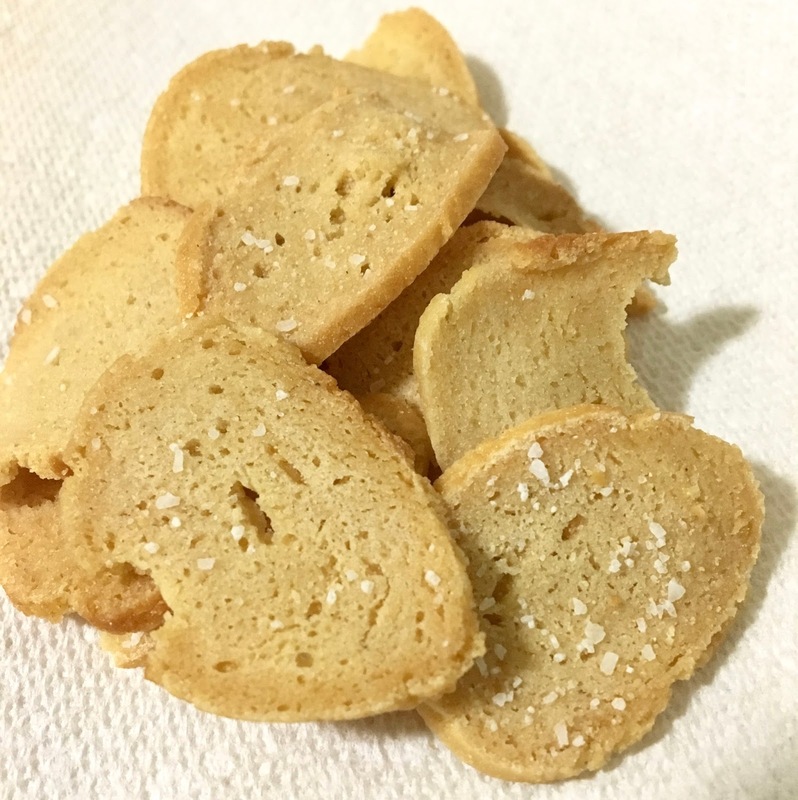 We've been gf/df, but recently had to cut egg and soy too. I am excited for the flavor cinnamon raisin chips as I love both cinnamon and raisins. Cinnamon raisin all the way! YUM! 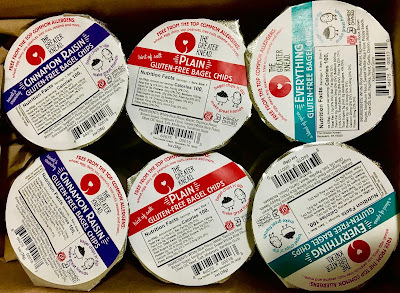 I'm most excited about the Everything Bagel Chips! Yum!